Perhaps you start the day in a zen like state, joyfully Pollyanna-ing your way through the interminable reminders to brush teeth and the interminable rounds of hunt the school shoe. Fine. Stay with it. 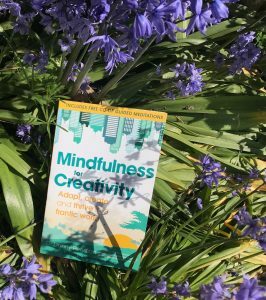 For the rest of us, and especially those in the middle of exam season, there’s Dr Danny Penman and mindfulness. The raft of clinical studies behind mindfulness as a means of reducing stress is growing almost daily. Dr Penman is a leading voice in the field, and also a voice of reason. I first spoke to him a few years ago when researching a feature for Marie Claire, and the words he said then have stayed with me. Mindfulness is a form of meditation whereby you are aware of what is happening in the present moment – including emotions and surroundings. I loathe flaky trends (I binned the weight loss coffee I was sent), but have found that taking a few deep breaths during my morning shower, enjoying the smell of the soap and the heat of the rising steam, is an excellent way of lowering school run tension. He says that within a few seconds your mind will start to wander. ‘There’s no right or wrong here, just gently bring it back to the breathing.’ If you want something a little more structured, try breathing in slowly whilst counting to five and breathing out on the count of seven. Again, it sounds simple but it does work. You may not be a nicer person (it’s not a personality transplant). But you may well be less stressed.